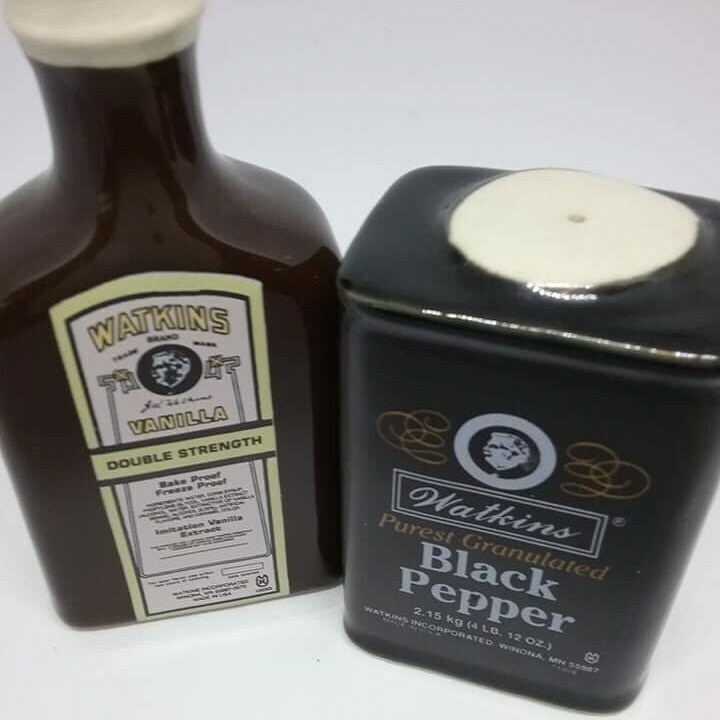 Vintage Watkins look-alike bottles of Vanilla and Black Pepper, are actually salt and pepper shakers. 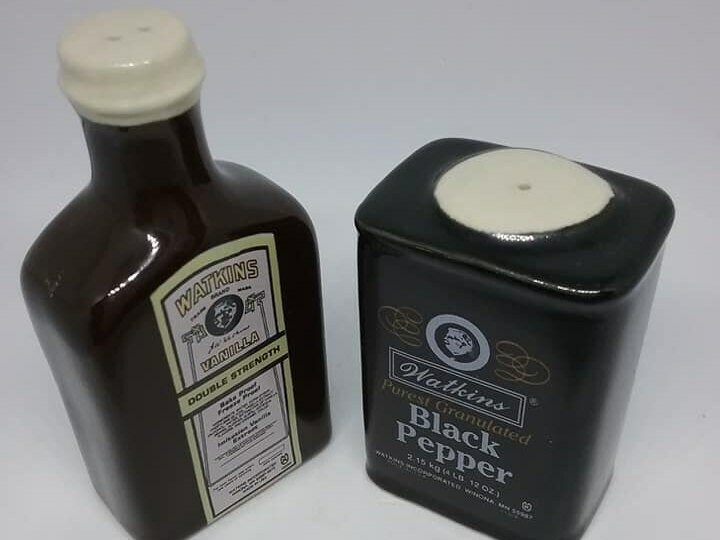 Ceramic salt and pepper shakers are in excellent vintage condition. 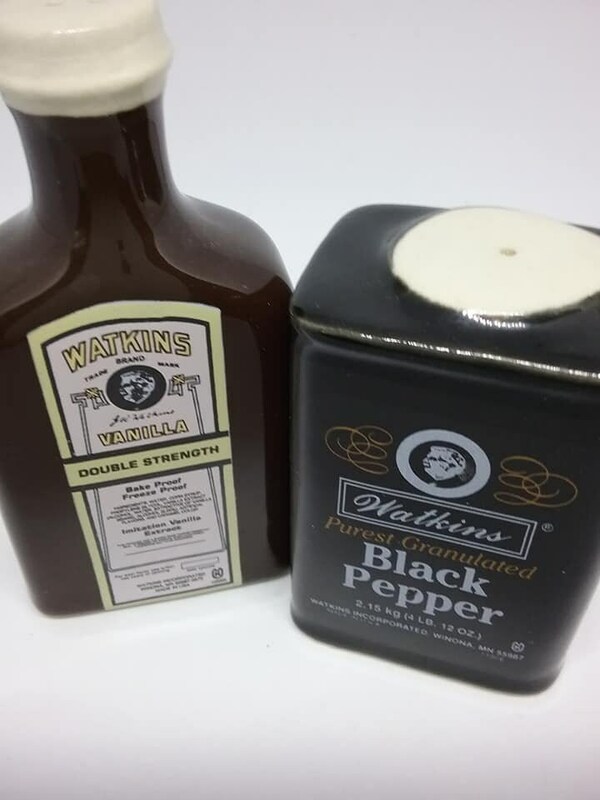 Stoppers are intact. 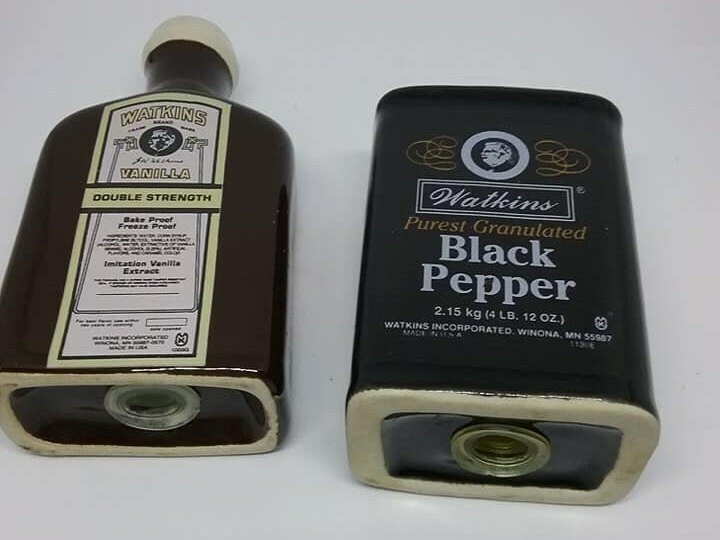 Black Pepper bottle is approx 2.5" x 1.75", and the vanilla bottle is 3.5" x 1.75". 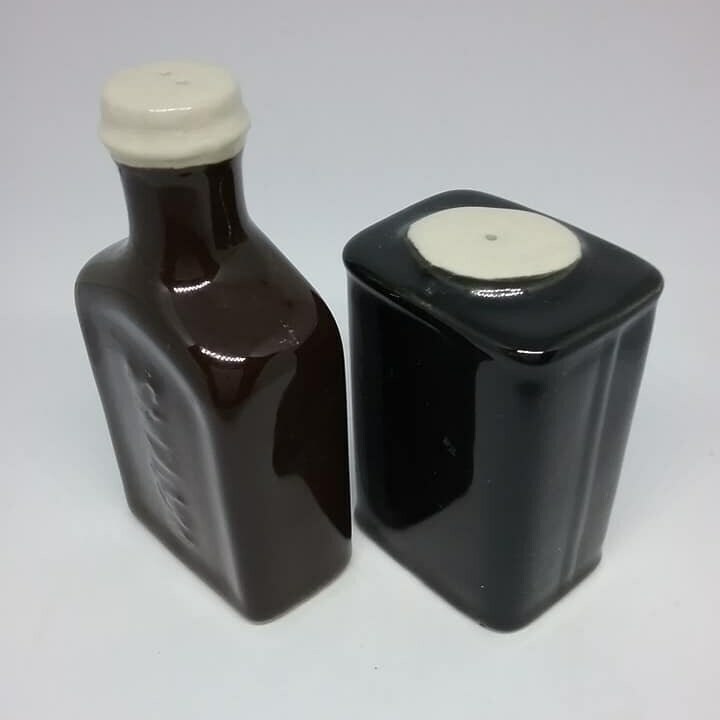 A unique ceramic figural set of shakers for the collector, or as a gift for the hard to buy for...they will bring a smile.